Meet the Veterinarians & Team of Carter Pet Hospital in Lake St. Louis! We’re pleased to provide exceptional vet care for your pets! Please call us at (636) 639-9999 to speak to one of our caring veterinary staff members! 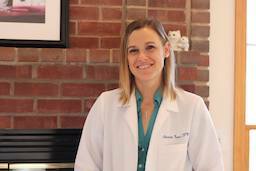 Dr. Rebecca Arbesman is a 2002 Graduate from the University Of Missouri College Of Veterinary Medicine. She has been with Carter Pet Hospital since 2007. She previously worked at North Main Animal Hospital in O’Fallon. She loves internal medicine, but her passion is surgery. She is married to Gordon Arbesman and has 2 beautiful daughters, Ashley and Jessica. The Arbesman family has 3 Cavalier King Charles Spaniels, 5 cats (including 3 Birmans), an aquarium full of fish, and Angel the guinea pig! Dr. A stays busy with church and school activities with her daughters. On quiet days she enjoys cuddling with her pets and watching movies with the family. 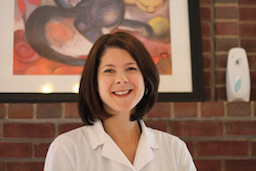 Dr. Karen Hart is a 1996 graduate of the University Of Missouri College Of Veterinary Medicine. She has been working at Carter Pet Hospital since 2008. Her background in emergency medicine led to an appreciation for a good challenge. She lives in Sunset Hills, Missouri, with her husband of 11 years, Dave, who is also a veterinarian. They have a son, Jackson, and a daughter, Parker. Their four legged children include a terrier mix, Tippy Sue, a staffordshire terrier, Eddie, and 2 cats, Coffee and Squirrel. 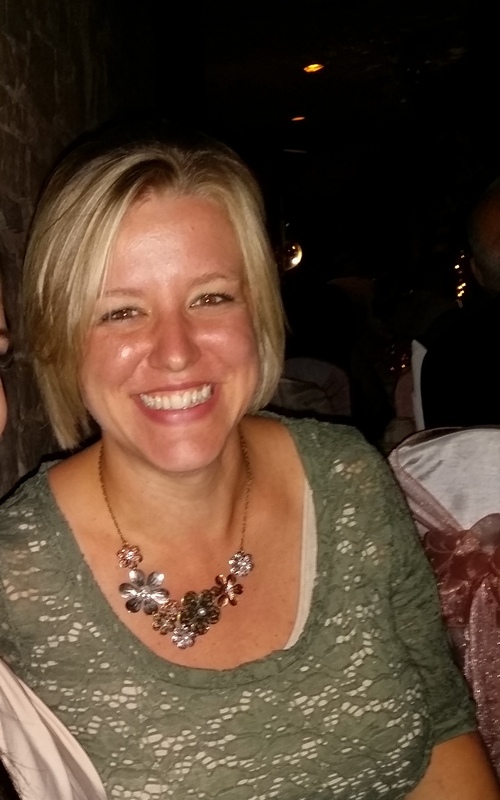 When Dr. Hart is not working she enjoys cooking, yoga, and spending time with her family. 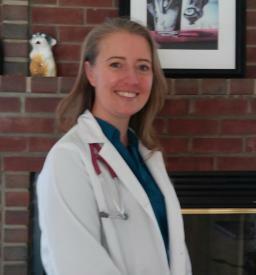 Dr. Christine Nagel is a 2011 graduate of the University of Missouri College of Veterinary Medicine. She has been working at Carter Pet Hospital since 2014. She loves cases involving ophthalmology. She lives in Chesterfield, Missouri with her furry family – a dog, Isis, and two cats, Anouk and Napoleon. Her hobbies include music production, participating in triathlons (she is currently training for the Ironman), and spending time with friends and family. Dr. Hannah Karll is a 2015 graduate of Kansas State University College of Veterinary Medicine. She has been in the veterinary field since 2005. Her passions are behavioral health and geriatric care. 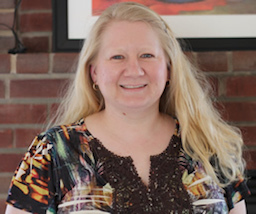 She grew up in Lincoln County and now lives in O’Fallon, Missouri with two dogs, Lily Belle and Roxy, and three senior cats, Gracie, Smoky and Annie. She also has a bearded dragon and three kissing fish. She is very community-minded and enjoys volunteering for feral cat spay-and-neuter clinics and fundraising for the Special Olympics. Dr. Amanda Logan has always loved animals. She grew up on a farm and had her first visit to a Veterinary college in sixth grade. She knew then that she would someday be a Veterinarian. Dr. Logan brings 17 years of experience to Carter Pet Hospital. She graduated with honors in 2000 at the University of Missouri, College of Veterinary Medicine. 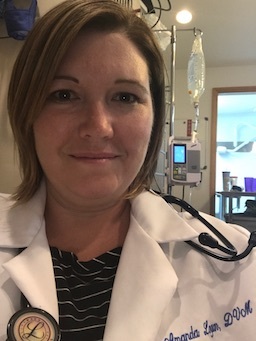 Dr. Logan lives with her husband, Steve, and her two children, Sean and Lily. Her furry family consist of a 14 year old Jack Russell named Kramer, a two year old Mini Aussie named Scout, and a nine month old Lab named Finn. Although Dr. Logan loves all animals she has a special place in her heart for Labradors. Her favorite things about pets? Puppy breath, snuggly pets, and naughty terriers! 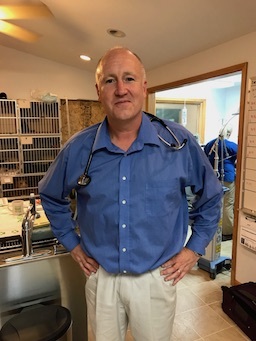 Dr. Dave Hart has 20 years of experience in the veterinary field. After getting a B.S. in Biology at Millikin University in 1992, he continued on to the University of Missouri, College of Veterinary Medicine and graduated in 1997. As a child, Dr. Dave’s family always had a lot of pets in the house. Looking back now he admits, as an only child, he viewed the family pets as his siblings. Now, as an adult, Dr. Dave still loves spending time with animals. Dr. Dave Hart is married to Dr. Karen Hart who has been practicing Veterinary medicine with Carter Pet Hospital since 2008. It’s exciting to have this dynamic duo working here together! Bridget has been with Carter Pet Hospital for 10 fun filled years, and in total has over 14 years of experience in the Veterinary field. Bridget started out as a receptionist and worked her way up to Practice Manager. She owns a home in O’Fallon with her spoiled Chihuahua, Penelope, and her loving Pomeranian, Pushkin. Bridget also has four cats, Gizmo, Knissa, Falcor, and Simba, who are all named after movie characters. 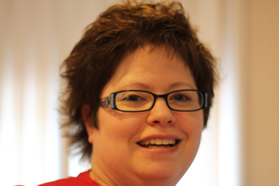 Amy is a licensed veterinary technician who graduated in 2006 from Jefferson College. She has been in the Veterinary field for 13 fun filled years and has been a Technician for 10 of those, 8 of which have been here at Carter Pet Hospital. Amy has a special knack for assisting with the more challenging aspects of the job. She is frequently able to calm aggressive patients or get an IV catheter in the most difficult vein. She can often be found assisting clients in understanding and caring for their pets with chronic illnesses. She lives in Curryville where she raises California Red Sheep on the family farm. When in FFA, Amy prepared her lambs for local fairs, by reading to them and taking them for walks. Her other pets include Molly & Sophie, her miniature dachshunds, and Garfield, the orange tabby kitty. Stephanie graduated from Sanford Brown College and completed the Veterinary Technician Program with an Associates of Science Degree. She has been in the Veterinary field for 7 years now, and has been bringing her fun loving attitude to Carter Pet Hospital for more than 4 years. In the future she would love to be involved in a rescue organization and eventually become an Animal Cop! She is very passionate about animal rescue and even assisted in rescuing pets for Hurricane Katrina victims. Stephanie is known for coming in on her days off to assist our doctors in emergency surgeries and can often be found singing to the hospitalized patients to help soothe them during their stay. Stephanie loves taking her four-legged son, Carlos, for hikes in the woods and spending time playing with her two kitties, Mike Tyson and Stubs. Kayla is a veterinary technician who joined the Carter Pet Hospital team in 2015 and shortly after graduated from the Brown Mackie Veterinary Technician program. She loves animals and is always growing in her knowledge of Veterinary medicine to help care for them. Kayla’s favorite part of Veterinary medicine is doing all of the “gross” jobs that most other people would never want to do! These jobs normally include things that smell bad so we are thankful for her willingness to take care of it! She also has special interest in Australian Shepherds and in animal behavior. She has been around animals her whole life. Raised on a farm, she grew up riding horses and still loves to ride horses to this day. Kayla has a cat named Alice (aka Momma Kitty) and a cockatiel named Ernie Bird. She also has a fur baby named “Olive” who is her side kick. They are always going on adventures together, hiking, swimming, and hanging with friends. You will rarely find one without the other. Julie has over 20 years of experience as a veterinary assistant. 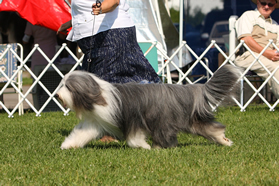 She breeds and shows Bearded Collies and breeds Shih Tzus. She has bred and finished over 17 Champions! She is a member and recent Board Member of the Bearded Collie Club of America, St. Charles Kennel Club, and Three Rivers Kennel Club. Julie is a Missouri representative for Bearded Collie Club of America Rescue and also makes handmade Teddy Bears. 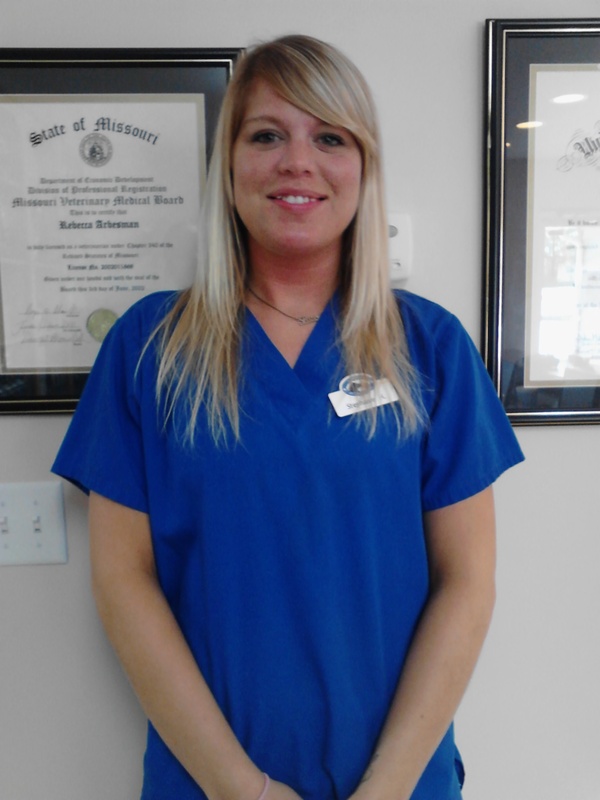 Stephanie Clemons went to Midwest Institute for medical assistants and received a Veterinary Assistant degree. She has been working at Carter Pet Hospital since 2008. Prior to working in the veterinary field, she was in child care for 18 years! We think this is where she gained her unprecedented level of patience. Stephanie lives in O’Fallon with her husband, Marshall, 2 cats, Snickers and Smudge, and two extremely spoiled, slightly spicy, Chihuahuas named Dudley & Cammie. She enjoys movies, scrapbooking, and singing in the church choir in her free time. Some of Stephanie’s favorite things are animals, children, and roller coasters. She hopes to one day go sky diving and own a pet skunk, which she would name Daisy.